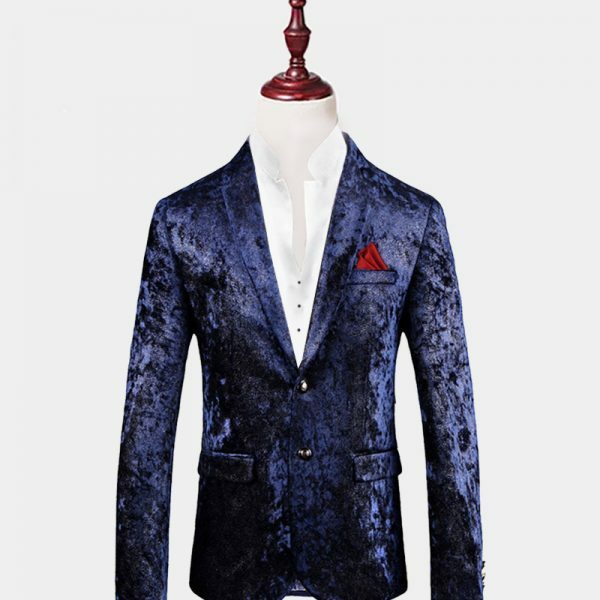 This dark blue velvet blazer is a slim fit designed garment. We strongly advise that you check your measurements with the size chart before placing your order. 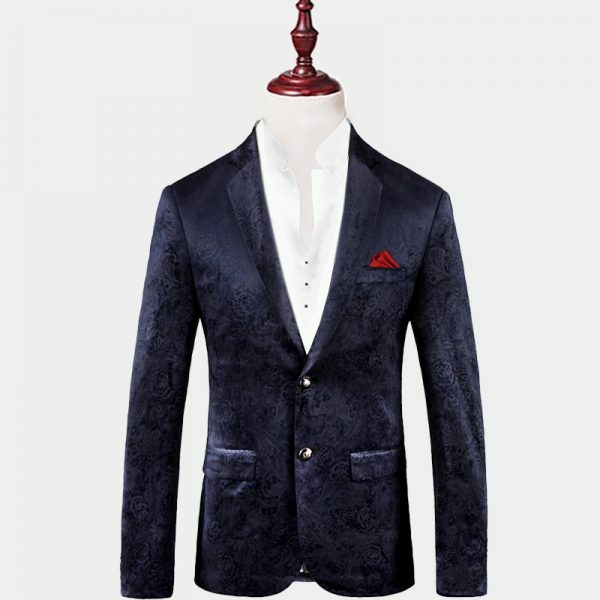 The rich look and feel of this gentleman’s dark blue velvet blazer make an excellent addition to your wardrobe collection. This versatile blazer looks great when paired with a tie and dress slacks for semi-formal or formal occasions. 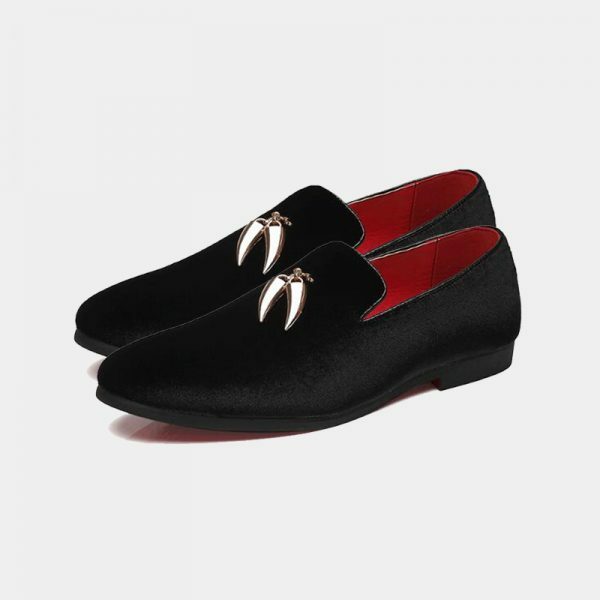 It can also work for casual affairs when paired with an open-collared dress shirt and jeans. 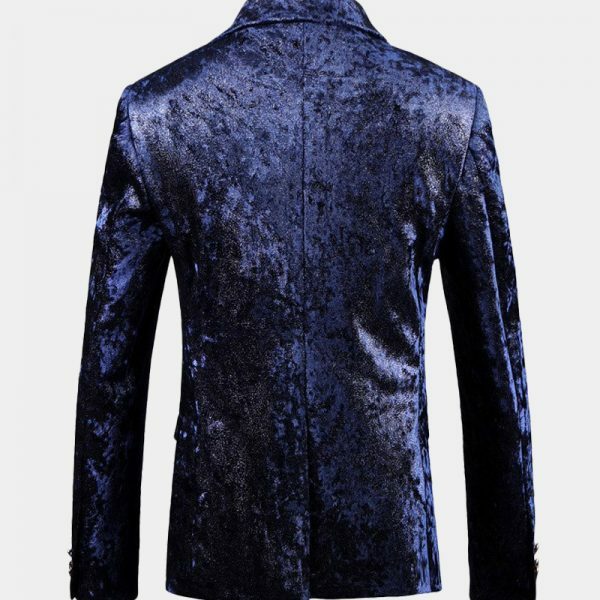 No matter how you wear it, this exceptional dark blue velvet blazer will get you noticed for all the right reasons. Each slim-fit blazer is crafted with high-quality materials that are soft as well as durable. 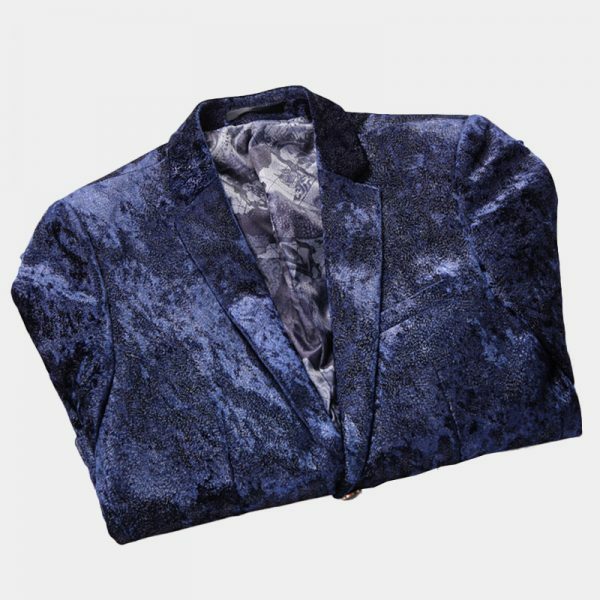 The beautiful dark blue velvet fabric is eye-catching and also resists stains and fading. This single breasted blazer has a full lining made with a blue graphic print. 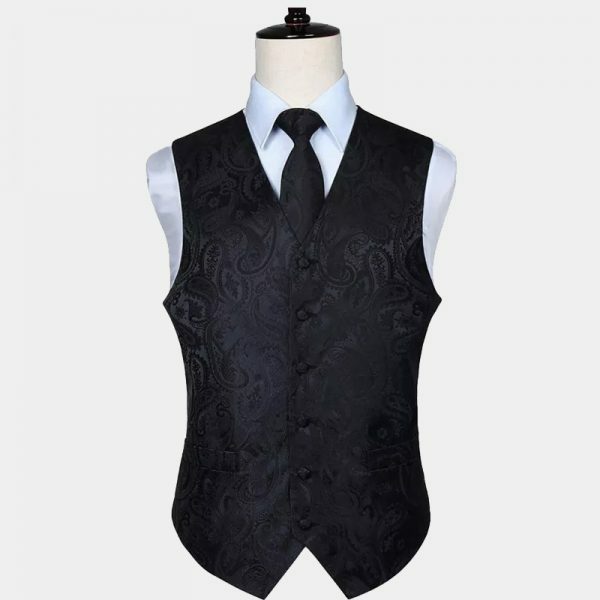 In addition, it has unique high-relief buttons located at the sleeves and the front closure. 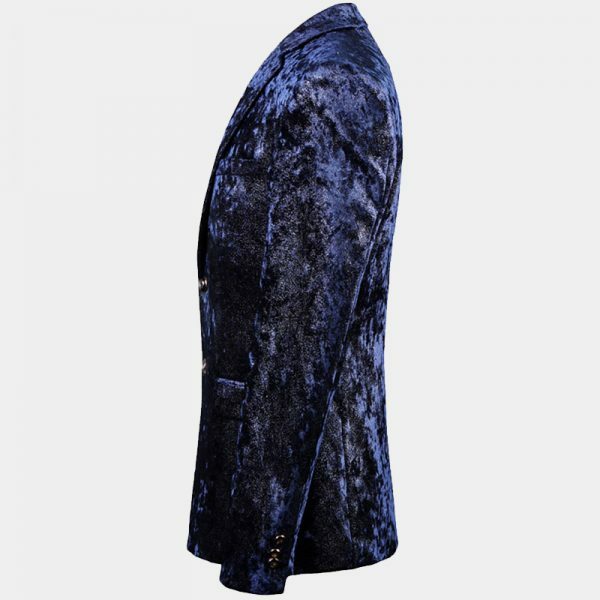 All the pockets of this dark blue velvet blazer are fully functional.